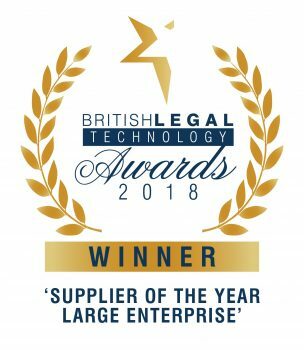 Netlaw Media talks with Litera Microsystems, to reflect on their success at being awarded ‘Supplier of the Year – Large Enterprise’ at The British Legal Technology Awards 2018. How do the team at Litera Microsystems feel having won the ‘Supplier of the Year – Large Enterprise’ award? It’s an incredible honour and recognition to have been named the large enterprise supplier of the year by the British Legal Tech Awards. We were delighted that our dedication to our customers, and the positive impact our solutions are having on them, was recognized by such a highly respected program. In your opinion what do you believe made your entry stand out to the judges? • We consolidated companies and technologies to create a true end-to-end document solution. • As a team, we aligned our discrete visions to offer a single unified user interface. • Our single-vendor solution streamlines and simplifies product and vendor management. • Our focus on customer service – demonstrated by an incredible retention rate and stellar NPS score – highlighted the success of our approach. How do you feel this award will affect business going forward? We’ve heard from our customers that our approach to legal technology simplifies their work – an approach that focuses on end-to-end solutions created by synergistic teams working together as a consolidated force. Not only does this produce a better user interface, but it also makes vendor management easier. Our customer retention rate proves the success of our customer-focused service. Now, this third-party validation – from the same highly respected organization that runs the British Legal Technology Forum – helps us spread the word about how consolidation can improve legal technology services. What was your most memorable moment from The British Legal Technology Awards 2018? 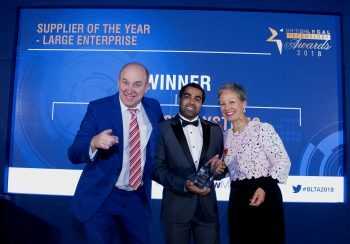 Litera Microsystems Director of International Business Abhijat Saraswat, said it was an honour and a privilege to accept the award on behalf of Litera Microsystems to a room packed with some of the biggest law firms and corporations in the world. Will you be entering The British Legal Technology Awards 2019? We are currently reviewing the categories and criteria for this year’s awards. The British Legal Technology Awards 2019 is now open for entries to find out more about entering this years awards please click here.